When fishing for Blue Cats we sometimes catch Channel Catfish. 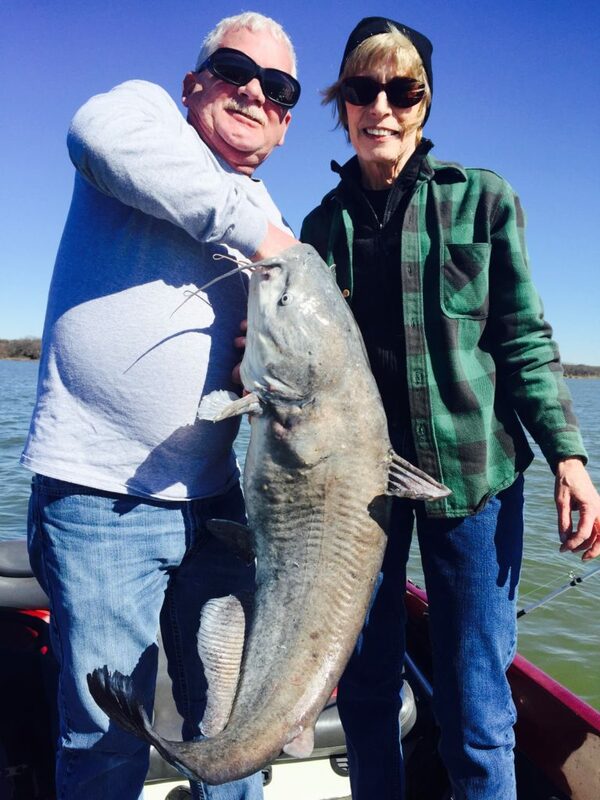 The Lake Lewisville record Channel Catfish is 22.68 pounds. Channel Catfish are also excellent fish for eating and make great fish fry's. If you are interested in a trip for just Channel Catfish let me know. I also target Channel Catfish directly. Catfish identification is pretty simple, Blue Catfish are usually much larger than Channel Catfish. Blue Cats have a consistent gray blue color and are usually much larger than Channel Cats. Channel cats can have dark spots and may have some yellow coloring. If you need help Identifying a Catfish click the link below for the Texas Catfish Identification Chart. 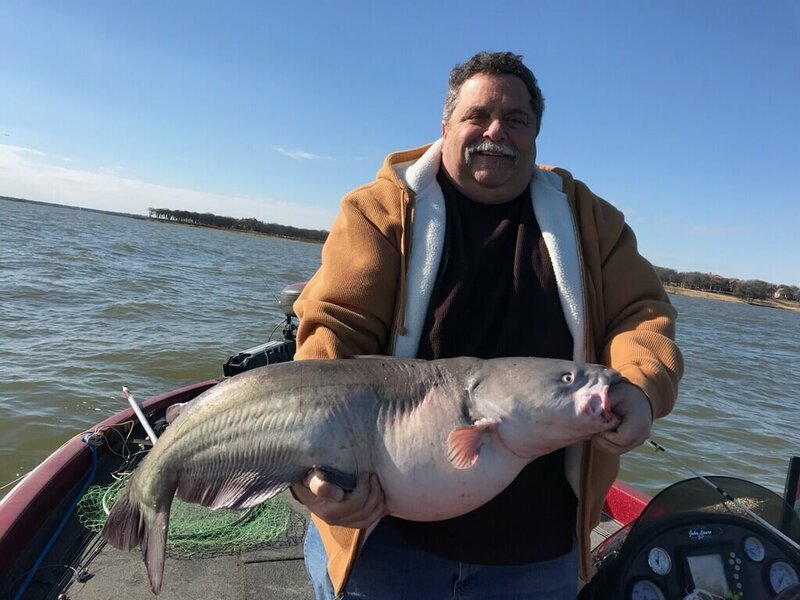 *For blue catfish, length limit is a 30- to 45-inch slot. Blue catfish 30 inches and less or 45 inches or greater in length may be retained. Only one blue catfish 45 inches or greater may be retained each day. For channel catfish, minimum length is 12 inches. 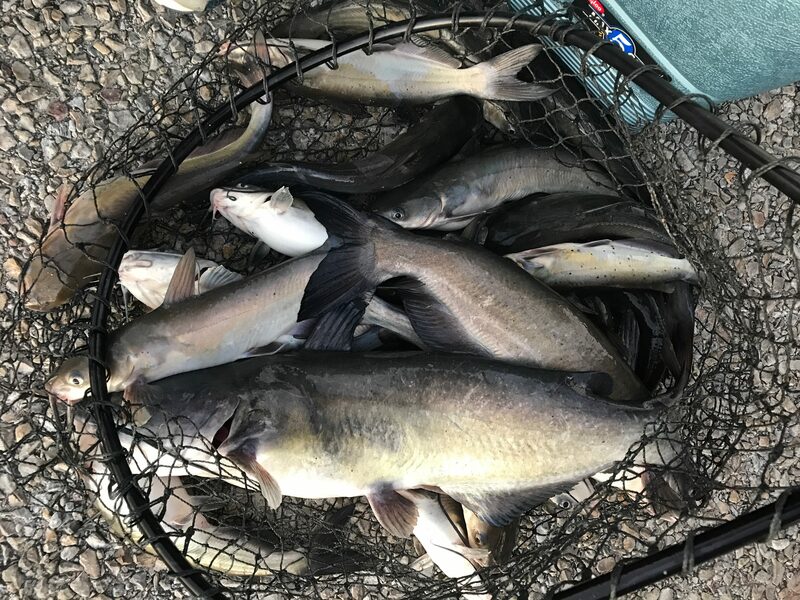 Daily bag limit = 25 blue and channel catfish in any combination. For flathead catfish, minimum length is 18 inches and daily bag limit = 5.